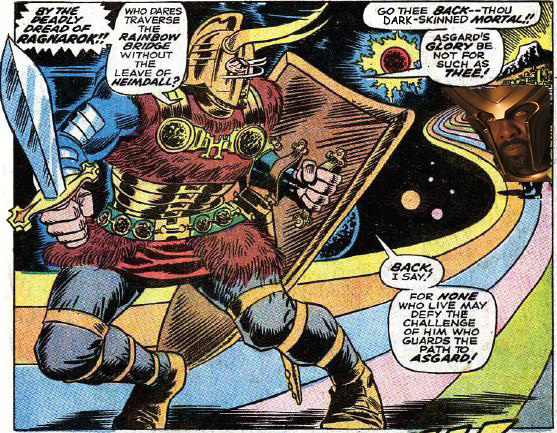 Defending the racial purity of the Pagan god Heimdall. Because you can measure clicks, it's easy to see how well online advertising works. And of course, online advertising doesn't work very well. The conclusion advertisers seem to be drawing is that online advertising isn't very effective. But traditional ('offline'?) advertising isn't known to work better; it just isn't measurable. The logical conclusion to all of this results in the destruction of print media and television as we know it, of course. So i guess we shouldn't really think about it. I'm someone who pays attention to politics 16 hours per day and I still can't tell you, aside from a few tax cuts and unemployment benefits extensions, what the Democratic economic agenda is. Isn't this a problem? I think the Republicans winning back the House makes the Democrats think that they can just wash their hands of this whole 'governing' thing and just kinda sit back and hope for the best. Actually, even before the Republicans won back the house, it was "We don't have 60 votes in the Senate." Do these guys want to be in charge?